For healthcare professionals to obtain capillary blood samples. Designed to help meet OSHA requirements for needle stick safety the needle is shielded before and after use. Automatic lockout after use to prevent accidental needle stick injuries and cross-contamination for residents and professionals. Ergonomic design for a secure, comfortable grip. Tri-bevel needle for less pain. Needle retracts automatically and locks out for extra safety. Designed to help meet OSHA requirements for needlestick safety. 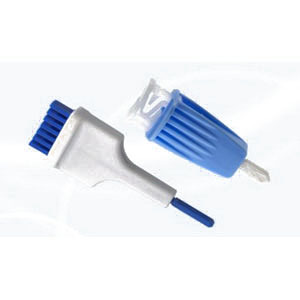 Helps prevent accidental needlestick injuries and cross-contamination. Ergonomic design makes handling easy. Lancet is ready to activate - no loading is required. Affordable high gauge safety lancets.